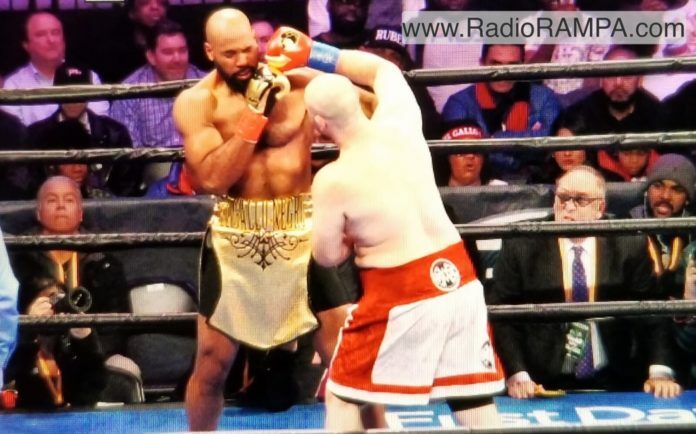 Undefeated heavyweight boxer Adam “Babyface” Kownacki defeated Gerald Washington by technical knockout, in the second round of the fight at Barclays Center in Brooklyn. Adam Kownacki won round one with a series of confident punches. Shortly after round two started, Kownacki presented Washington with a heavy right punch and Washington was knocked down. After being confirmed a winner, Kownacki shared the news of him and his wife expecting their first child. Adam Kownacki comes from Poland, but have been raised in Brooklyn, where he also currently trains. He started his professional career nine years ago, and has built up his record through 19 fights. Kownacki remains undefeated and is aiming at the opportunity to become the first Polish-American heavyweight champion.